Glebar, as part of its move to its world class facility in 2015, invested in capital equipment and metrology devices to fit out its new R&D center. Glebar’s dedicated applications team is ready to help apply our technology and 65 years of experience to provide real-world solutions. Constantly pushing, researching, and developing, Glebar consistently innovates in all industries. You can browse our library of components ground on a Glebar machine here. Continuous Process Improvement – From drawing to delivery, we holistically review pre- and post-grinding processes including part handling, inspection, data acquisition and automation, to provide customers the ability of doing more with less – all on a smaller footprint than the competition. Contact Glebar today to discover how Glebar innovations can be applied to your application. We offer a fully customized solution. We get to know your company, needs, and processes, and configure our standard machine platforms to fit those needs. Let us help you improve your productivity and profitability. 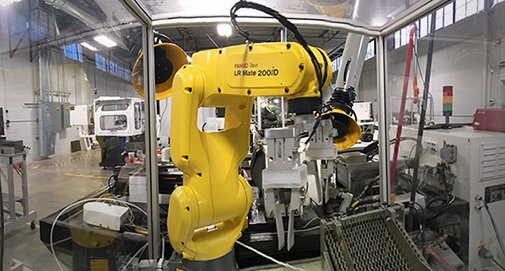 Complete with 6-axis robots and pick-and-place gantries, Glebar machines can be fully automated to maximize your output, offering lights-out solutions. An operator with limited skill can run multiple machines simultaneously. In-line and off-line gauging for 100% inspection and machine feedback is also available. Our machines are known for providing our customers with cutting edge technology. Whether you’re looking to perfect an existing technology or pioneer a new one, we have a solution for you. Glebar has an extensive inventory of tooling and grinding wheels in a wide range of abrasives and the knowledge to implement across many applications.